Sold at Christies in 2011 for 500 pounds ($799), this is a beautiful example of Chopping’s Trompe l’oeil style. Not much is known about this painting unfortunately, but perhaps more information will come to light. Several Chopping motifs are present however, including the wood background and the natural world. Botanists out there might be able to identify the flower and literary scholars might be able to identify the textual excerpt. 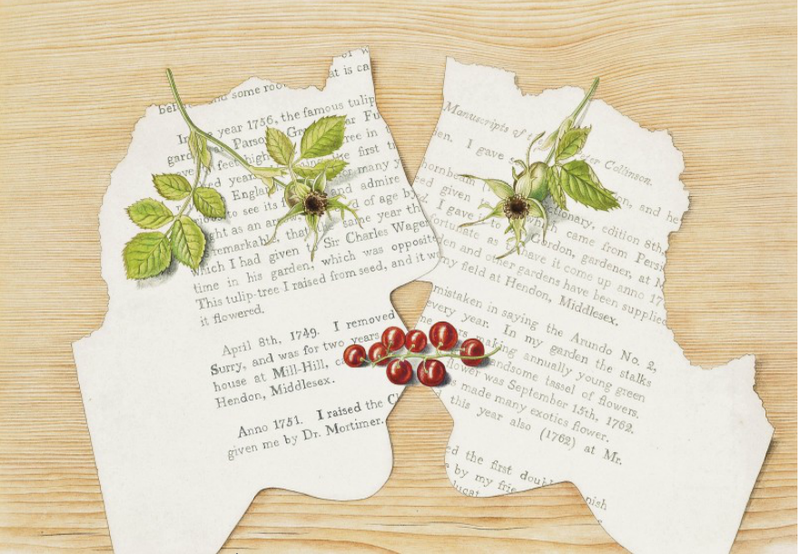 We do know that those are red currants, hence the title – ‘The Redcurrant Kiss’.